David Powers King: Special Announcement: Woven Has Found A Home! Special Announcement: Woven Has Found A Home! Five years ago, I met who would become one of my best friends. 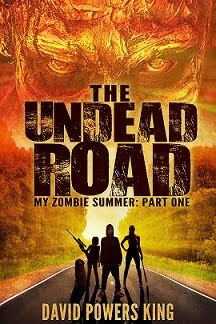 After Michael read one of my manuscripts, he shared an idea with me over lunch, the concept so simple and original, I wanted to see this idea turn into a complete story. We decided then to join our minds and talents into a collaboration. Now, after years of work, sleepless nights, rejections and revisions, or story has finally found a home. WOVEN to be released by Cedar Fort Publishing. I can't begin to tell you about the journey our story has taken (for the moment - I need a few days to let it all sink in), but we'll have plenty of opportunities between now and release day to share the details. Today, we celebrate the first of many steps to come! Expect some cool news and offers in the future. Until then, how about some proof that this thing is happening for realz, yo? We received this offer a few weeks ago, and boy, we had to make a really difficult choice between other offers, but in the end, we felt that this was the way for us to go. We know this story is ready. We are driven to make this story available to everyone, and we are confident in Cedar Fort's ability to make this happen. We thank you, everyone, who have cheered us on, believed in our story, and told us to never give up - it was literally murder keeping this announcement from all of you until now! There's much to do between now and then, so we'll see how this is going to affect the groove (I can't imagine it will, much). We'll keep you informed on further developments when they become available. We're going to be busy, reading our novel one last time before we submit our final final and, thankfully, my first scheduled week off starts now (good timing). I'll be back in February, but I plan to stalk a few blogs to catch up on the ol'sphere. 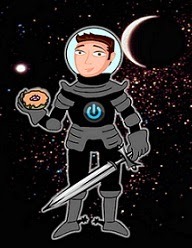 Check back on Wednesday, when I will introduce to you our first Knight of the Cosmic Table! Knuckle-Bump, Michael. We did it, buddy! Have a great weekend, everyone, and thank you - you're the best! fabulous! stupendous! marvelous! et al! Awesome David! So excited for you. I'd love to interview you when your book releases. Yay! I knew it would happen for you! Super huge gigantic big congrats, David! Congrats David! Exciting times ahead. Let me know if you're planning a blog tour. Congratulations! I'll be watching for this one to come out--always loved the concept. So excited for you two!! CONGRATULATIONS!!! I'm glad you turned down the offers that weren't quite right, and waited until you found the perfect home for it. It makes me so happy for you!! Congratulations!!! Welcome to the author world. Warning you now - your life will never be the same. I was hoping you would find the right fit. Congratulations to you both! Awesome David!! What a great writing success story. Wow! Congratulations! That is awesome. :D I'd be happy to help out if you decided to do a virtual book tour. David, I'm so so so so so happy for you I can't properly express it!! I can't wait to read this book, and I'm incredibly thrilled you found such a great publisher! Ahhhh! I'm grinning like a maniac for you! So proud of you DPK! Talk about inspiration and motivation!! Doing a happy dance for you! Knew it would happen. CONGRATS! How awesome! That's great news! WOOOO! That's amazing, David. Congratulations! Way to stick with it. DPK, so very, very, very proud of you!!! We all love you and your family & are so excited for this next big step!!! Congratulations! I knew it would. In fact, I predicted this months ago. So excited for you David and for Michael too! Wow! That is really, really awesome!! Huge congrats to both of you!!! YAY YAY YAY!!!!!!!!!! Super Dooper Shower of Confetti!!! So pleased that I am without words. Congrats! Congratulations!!! That is so very, very exciting for both of you! Congratulations, time for party no doubt! Love the tricky photo. I'm too tired to do a happy dance for you but I lift my amaretto in a toast. Success looks great on ya. Way to go, buddy!! So excited for you! Congrats! I couldn't be more happy for you! This is fantastic news and I'm so thrilled for you both!!!! Congratulations! This is really amazing and I am so happy for you guys! I'm glad your story worked out this way! You worked hard, wrote lots, and made it through the ups and downs. Congrats to you and Michael! Wow!! Major congratulations to you both! Congrats to both of you. Cedar Fort has two more talents under their belt. Wahoo!!! You did it, You did it! And I knew you would! This is awesome and I can't wait to finally hold Woven in my hands! CONGRATS!!! Yay! So many congratulations to you both! :D Three cheers, or even six or nine!! HOW AWESOME DAVID AND MICHAEL!!!!!!!! This kind of news ALWAYS brings a huge smile upon my face! Not only am I THRILLED for you guys, but it brings hope to the rest of us unpublished authors. 2013 is off to an AMAZING start! ALL THE BEST!!!!!!!!!!!!! Woo!Hoo! Congratulations to both of you! What a great start to a new year! That's impressive. Maybe you'll work together again. Congratulations, David! And to you too, Michael! It's all so surrealistic when it finally happens, isn't it? Have fun making your final revisions/edits and enjoy that moment when you hit send and can say (in a puffed up voice): "I just submitted a manuscript to my editor ..."
Congrats!! Wishing you both much success and many more contracts to come! Wahoo!!! Congrats!!! I'm SO excited to read this and to see the rest of your journey! Wow that's awesome news. Many congrats to you both. Looking forward to hearing more. Great news. 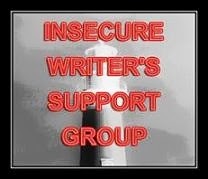 It really encourages other writers to have faith in their writing. Still excited for you guys! Congrats to the max. Gigantic, ginormous congratulations to both of you! It must feel like you're on top of the world. :) I'm glad all the hard work finally paid off! This is truly awesome news. CONGRATULATIONS!!! BIG, BIG, BIG CONGRATULATIONS to you and to Michael! This is really exciting and encouraging news for you both, you must be absolutely wrapped! Keep us all posted!!! SOOOO, so, so happy for you guys! I can't believe Woven has finally found a home. Your perseverance is astounding. great job! YAY!!!!!!!!!!!!!!!!!!! I'M SO EXCITED FOR YOU! 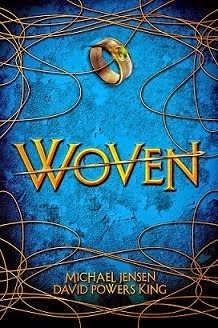 I've wanted to read WOVEN since I read the query and pages at WriteOnCon last year. I cannot wait to buy a copy. Congratulations to you both! Congrats! It's great to see you reaching for and accomplishing high goals:) Well done! Incredible news! I seriously can't wait to read it and post a 5-star review for all the world to see. That is so awesome for you guys! Congrats! Hope you're off celebrating. This is so exciting!! Congratulations and a huge round of applause to you. Yay!! David! That's fantastic news! Congrats!!!! Congrats David :) What a fabulous publishing journey. So happy for you guys and I can't wait to read this book!!! Congrats!!!!!!!!!!!!!!!!!!!!!!!!!!!!!!!!!! Awesome news!! I'm so happy for you and Michael! WAHOOOOOOOOOOOOOO!!!! I'm so happy for you guys! I've been dying to read this ever since you told me about it, David—so WAHOO for me that now I'll get to! CONGRATS!!!! I'm so happy fo you! Congratulations!! This is wonderful news! I'll be sure to buy the book when it's out! Awesome news, David! So happy for you!